I'm playing along again with the Shopping Our Stash blog and this weeks challenge is a neat one. 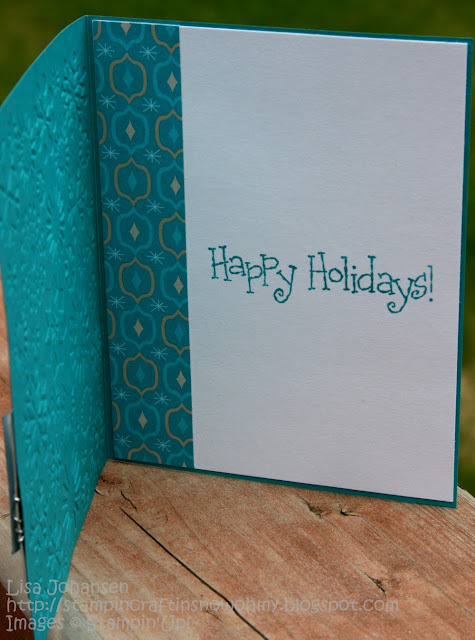 S- products from companies that start with S - Stampin' Up, Stampavie, SEI, etc. O-ocean or nautical, seashore, underwater creatures, etc. S-things that start with an S like seashells, silver, seam binding ribbon, scoring, silly, stripes, seagulls stitching, etc. 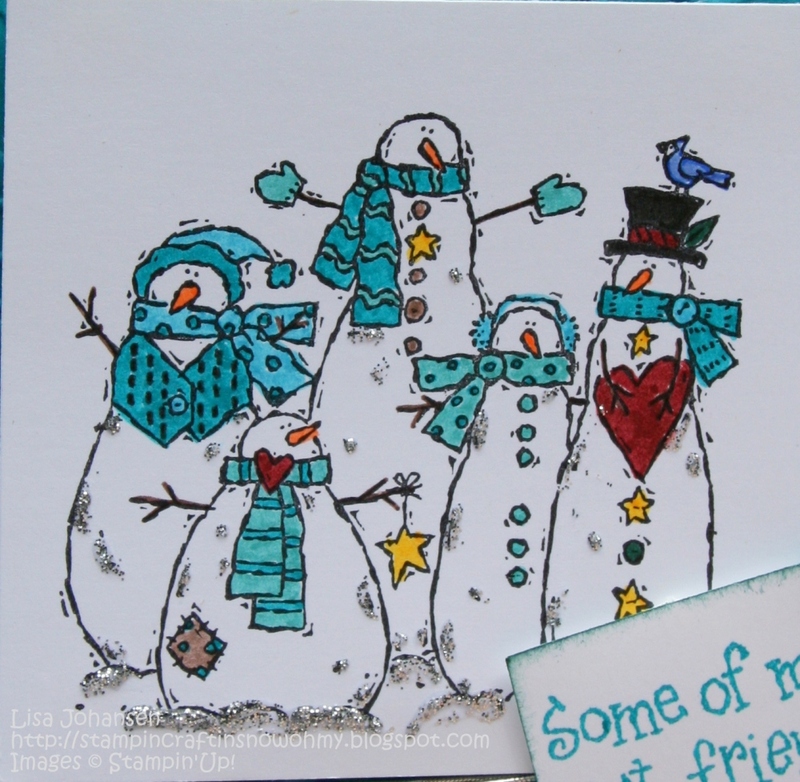 I was going to do a ocean/sea/nautical theme but then I decided to go with these snowmen instead. I'm just in a winter/Christmas kind of mood I guess(and if you really know me, that wont surprise you one bit!). 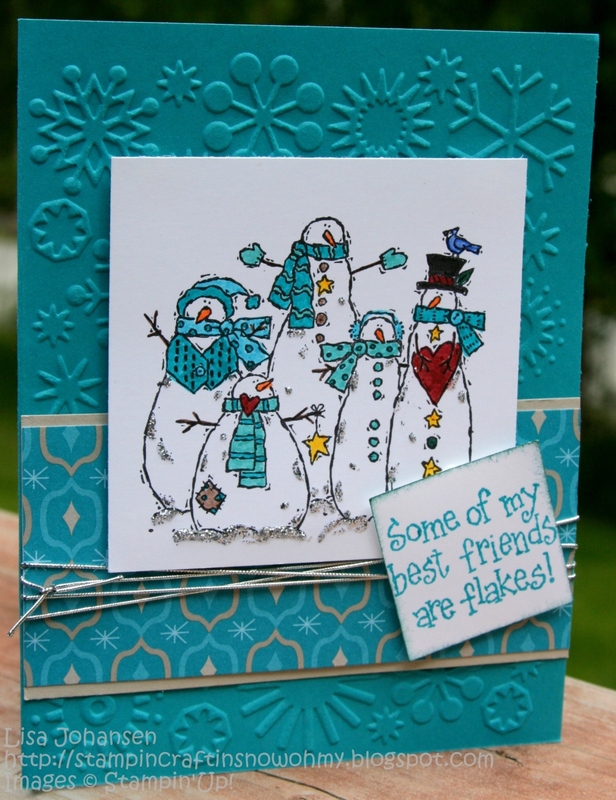 This fits the SOS challenge in the following ways: Snowflakes(embossing folder), Snowmen, Stampin'Up, Silver Elastic Cord, Square Punch, Silver Stickles. 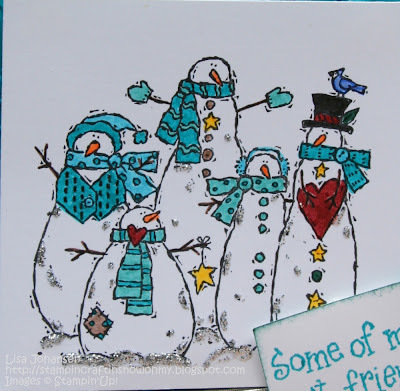 I also used this weeks sketch from Splitcoaststampers. Since it's very warm here, it's nice to see snowmen LOL! I love the embossed background :) Thanks for playing along with Shopping Our Stash! OHH so cute. 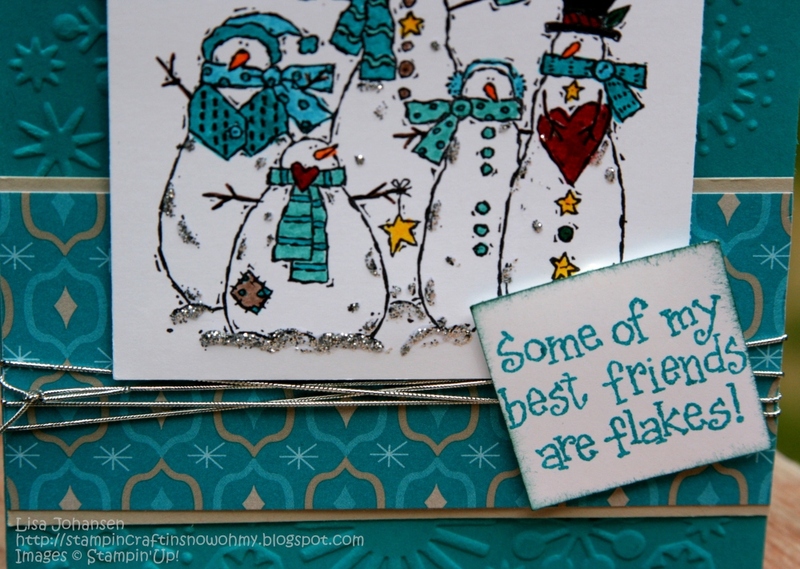 Love the colors and of course the sentiment is perfect! Thanks for joining us this week! this card is spectacular....thanks for joining us at the SOS this week!